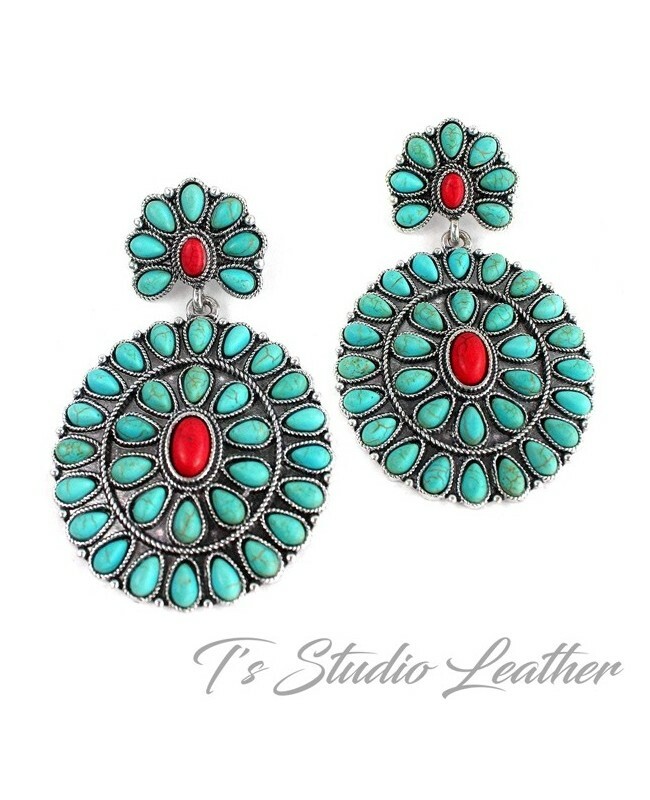 Large Cowgirl Turquoise, Red and Antique Silver Concho Statement Earrings on post style back. Earrings measure 3" x 1 3/4". Earrings also available in turquoise only color.